An Aussie recipe said to have been created to honor Anna Pavlova a Russian ballerina touring Australia and New Zealand in the 1920's. There is some debate about who invented it first, but I give this one to the Aussies! We like to make it for special occasions and it's a new tradition for July 4th - a perfect blending of our Aussie and American traditions! 0. 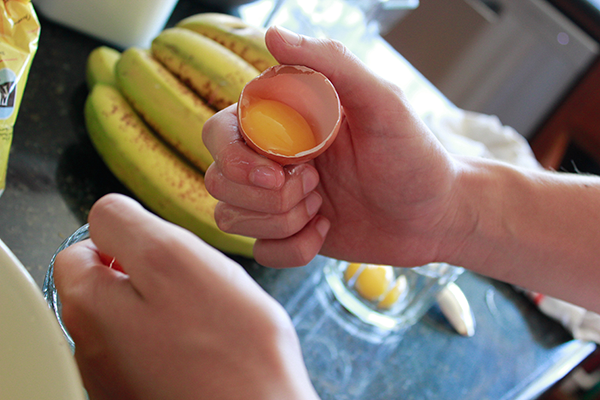 Separate egg yolk and albumen from their shell. Carefully crack eggs in half over a clean bowl (a quick hit with a sharp knife works) and tip yolk from half shell to half shell letting white drip into bowl. Save yolk for another meal (omelet maybe). 1. 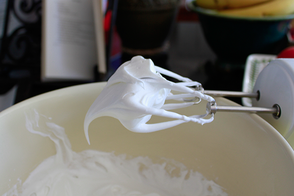 Beat egg whites until stiff and shiny. 2. Gradually add sugar and cornflour and beat until thick. 4. Prepare baking tray with parchment paper and mark out a circle the size of your pavlova - I use a dinner plate. 5. Spread the meringue onto the tray, trying to keep within the circle. The mixture will spread during cooking. 6. Bake at low temperature, around 120 - 150 C / 250 - 300 F for around 2 hours. Check after 90 minutes. Allow to cool in oven with door slightly ajar. 7. 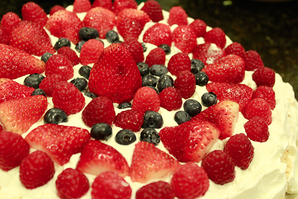 Decorate with whipped cream and fresh berries - strawberries, raspberries, blueberries, blackberries and drizzle with passionfruit if you have some!